We shoot with our rifles. Such is sung in an old familiar German folk song. 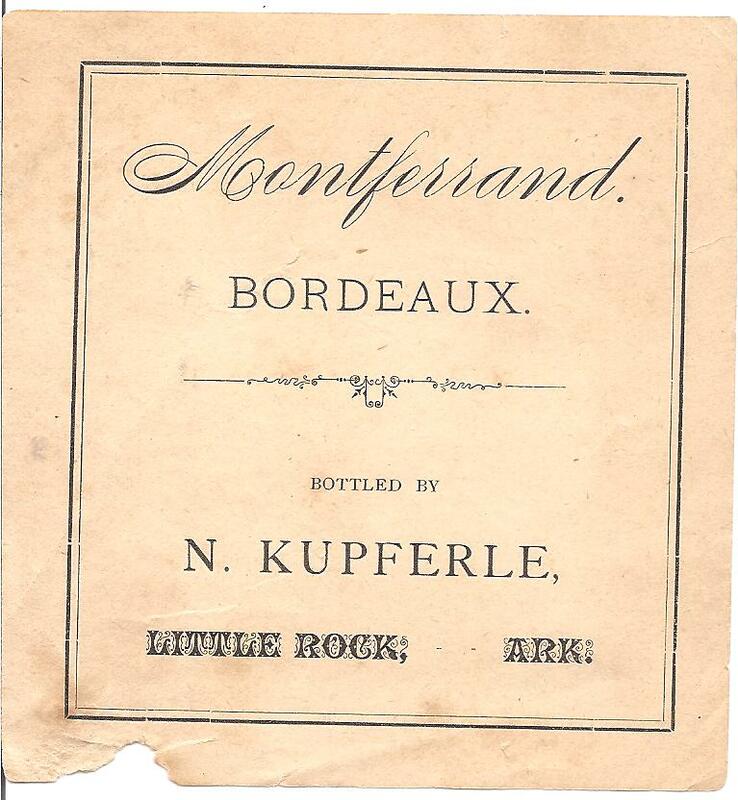 Yes, in the old times, when such a song could still truthfully be sung, Arkansas must have been a paradise, at least for such a passionate hunter as our friend Ernst once was. 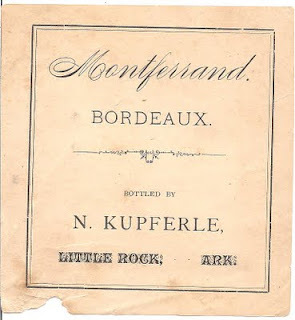 Through reading certain novels, such as for example, The Trappers of Arkansas, or The Loyal Heart [by Gustave Aimard, published in 1864] , in which the hunting adventures and experiences of a half wild figure were described in glowing color (and which I also remember having read in my youth), Ernst got the idea once that he wanted to learn these techniques of hunting and sometime play the lead role in such a novel. So Ernst then arrived in America -- but only after many criss-cross moves, something he was usually permitted --reaching the land of his hopes and dreams. And at last he was driven to a small nest that already had the proud name of a city conferred upon it. Since he was a smart head and had quickly picked up the speech and habits of the Americans, it could not fail him that he won a small office here. This small post brought him, to be sure, only enough that he did not need to starve, but what was most important, he was in the middle of the desired hunting ground and had the time and leisure enough to devote to his favorite pastime. And he honestly took advantage of it, and it did not happen often that he had to take off homeward without some hunting booty. At that time, besides the above mentioned wildlife, there were also still Buffalo, stags, and even bear here. He didn't bother with bear much, since once a bear had lovingly embraced him and he, through some type of miracle, escaped its dangerous hug. Since then, he got out of the way of bruin and kept to ducks, turkeys, and also, if it had to be, deer. Thereby at least one's life was safe. If he did not bag a deer or a fat buck every time, then he could in general complain about too much bad luck in his hunting. It is, of course, well known that there is no occupation (except perhaps a rogue) that has so much bad luck as hunting. It had even happened to him once that he had with a shot, instead of a raccoon or possum, taken down a consumptive cat. He didn't take this bad luck very much to heart because it could have happened to others also. What got to him more, at least in his pocketbook, was another story, that I want to now relate. One day a friend told him that he had run across a famous, fat buck at a certain place. That was something of interest for our friend Ernst since deer were becoming rarer with time and he could not let such an opportunity go by. Therefore he quickly decided to test his luck early the next day, and in his mind he already saw himself weighted down heavily with the slain buck, heading home. Unfortunately, he was at the time having problems with a sore on his foot that made the march for him much more difficult. Wait! A good thought ran through his head. A neighbor of his had an old gray donkey in his stall. If he would loan him the donkey for tomorrow, then he would not have to drag the buck home himself. The man was willing to agree to loan the gray to him. The next morning even before sunrise, Ernst was up on his feet, meaning really, he was on the feet of the gray, and trotted briskly, full of desire for triumph, well packed with the necessary fodder, whereby he had not neglected to bring a hearty drink for the nearby forest. After a hard ride, he came upon the designated place, and now Ernst thought: It would be best to dismount from the gray. Here in this thicket an accident could easily occur by which I could hang myself by catching my hair (which appeared to be a little too long) in a branch, like was supposed to have happened to Absalom. Dear God protect me from such a death! He dismounted and tied the donkey firm and secure behind thick bushes. After he had rested himself, he took off. But where in heaven was the fellow to be found? That was now the next question, but it was hard to answer. That meant taking off straight into the forest. So, he had wandered around already a few hours, but still saw no buck, not even a small sign of it. In the meanwhile it had become wretchedly hot and Ernst sensed in the stomach region a certain feeling that always meant appetite for him. He decided therefore to rest himself under the shade of a tree to rest and afterwards to resume the hunt. Perhaps the buck was just now having his lunch and will be around afterwards. After he had eaten and drank, he laid down to sleep for a quarter of an hour. As he awoke and looked at his watch, he had slept for two full hours. Shoot! he shouted, startled. That is what I call sleep. During this time, the buck could have said "good night" to me and made off far away. Go now! I absolutely must find this creature today. But, alas, not a sign of him, and the sun had plainly in the meanwhile sank lower, and gradually, he had to begin making his way back, if he did not want the pleasant pleasure of spending the night in the forest. If only he had at least seen the dang buck at least once, but not even that. As one can easily imagine, Friend Ernst was not then in the best of humor. Wait! What did he hear over there? What did he see there? Listening and sharp on the lookout around him, he stood still, and in front of him, not 100 yards distant, he heard a rustling of leaves and turned to look. "Father of my life," really and truly the sought after buck stood in front of him. Of course, he did not see the head with the majestic antlers, the animal is too careful for that, but he saw an entire side very clearly through the thick bushes. Quickly, he snatched the gun from his back, but cannot get a sure shot because of his happy excitement. All the same, let it explode! And bang, pop, and splat, the buck falls to the ground. Hurray, Ernst shouts and tosses his hat. He's down. And with quick steps, he leaps behind the bushes. Oh, no! Speechless and as if all limbs were paralyzed, he stopped. Oh horror, instead of the buck, he had hit his own gray which he had tied there. Old gray had been hit solidly. He was riddled on his entire backside with shot. That I call bad luck! shouted Ernst, as he regained his senses. What now? It appeared to be an angry wound from the first instant. And time was short. The sun would soon be setting. He now tried to get the poor fellow on his feet, something that he succeeded in doing at last after unending effort. Now, of course, he was finished with the riding, packing back the buck, and other beautiful dreams. Ernst had to carry the saddle himself and so he limped along pulling the poor gray with great effort behind him toward home. Truly a beautiful picture. Worthy of being preserved by a capable paint brush. He arrived at home in the middle of the night, and put the gray carefully in the stall. The neighbor owner of Gray opened his eyes wide in surprise the next morning when Ernst told him of his bad luck. The doctor. who was quickly called, made a thoughtful face and said: he isn't going todie immediately, but he is crippled and ruined for the rest of his life. And that's the way it was. Ernst had, of course, to make up for the loss, which cost him $60 and stuck him deeply in the hole for a long time. And basically he was cured for the first time of his love for hunting and groaned: Terribly bad luck and the dang buck is the cause of the whole thing. And what angered him most was that in addition to everything else, he was ridiculed. Translated by Dan Durning, all rights reserved.